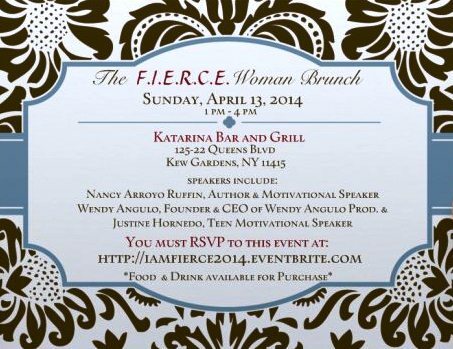 This past Sunday, April 13, 2014 I held the first Power of the F.I.E.R.C.E Woman Brunch at Katarina’s Bar & Grill in Kew Gardens. From the moment I woke up that morning I knew that the day would be full of beautiful moments and energy. Mother nature, in all her F.I.E.R.C.E-ness cooperated. The weather was perfect. The sun was radiating, a reminder that when we bask in our own light there is no one or nothing that can take away our shine. The sky was a beautiful azzure blue without a cloud in the sky. The 75 degree temperature was an indication that Spring indeed had arrived. As the Spring weather wrestles its way in this was the perfect opportunity to re-evaluate, re-assess, and re-invent ourselves. The Spring is often used as a metaphor for new beginnings especially as we begin to transition from the cold and barrenness of the Winter. In Spring the flowers are reborn again and begin to blossom. The birds fly back East and can often be heard in the early hours of the morning singing their songs. It’s rather hard not to notice the beauty and spiritual meaning connected to this season. Like the birds, we too have our own song to sing, but how many of us are actually brave enough and fearless enough to sing our song and share it with the rest of the world? Re-connecting with ourselves and our god given gifts was the impetus behind the Power of the F.I.E.R.C.E Woman Brunch. I wanted to not only unite and connect women from all walks of life, but I also wanted to prove to them how powerful they are. By bringing them together I was providing them each an opportunity to network and to create connections with other women that they otherwise would have never had. We had over 50 F.I.E.R.C.E women in attendance. The venue was packed from front to back and at times was standing room only. The turnout was everything I had envisioned it to be. These ladies showed up and showed out, each one so well put together that just by looking at them you could tell that they indeed embody all that a F.I.E.R.C.E woman is. Our guest speakers, Justine Hornedo and Wendy Angulo (both successful in their own right) were phenomenal. They each shared with us their own stories of success and despite the many challenges and obstacles they’ve encountered they demonstrated to every woman in attendance that success is inevitable if you believe in yourself and work hard. As I connected with the women in attendance I saw in each of them a bit of myself. I saw pride. I saw excitement. I saw nervousness. I saw heartbreak. But most of all I saw hope. Each woman that came to the event came because something propelled them to be there. Even if they didn’t know what the reason was at that moment, they were meant to be there. There are no coincidences. They were meant to hear the message that the brunch was designed to convey. Sometimes we lose hope and when we do the Universe works its magic and puts us right where we need to be at exactly the right time. To the women who showed up, not only for me but for themselves, I commend you. I commend you for showing up. You took the first step in transforming your life. You have planted the seed to re-inventing yourself. You have put out into the Universe, by your actions, that you are ready to stand and walk in your F.I.E.R.C.E-ness. You have made the choice, now make a plan and execute it. 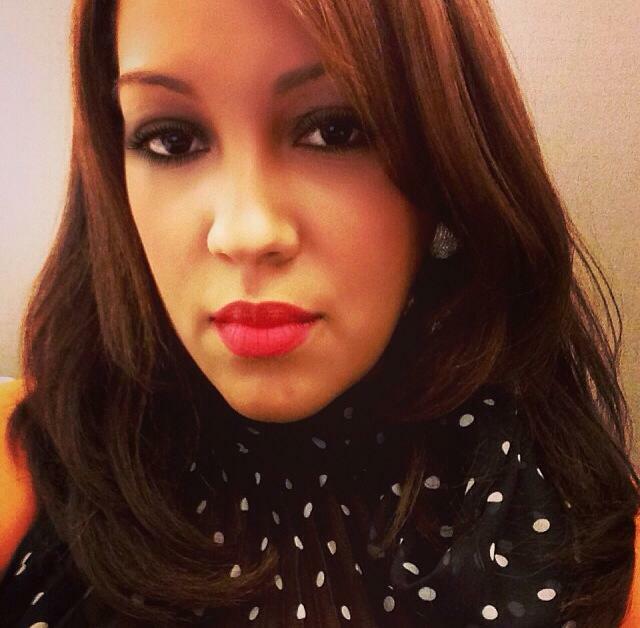 I look forward to seeing you all again at the next Power of the F.I.E.R.C.E Woman Brunch. Shine on my sisters and stay F.I.E.R.C.E. 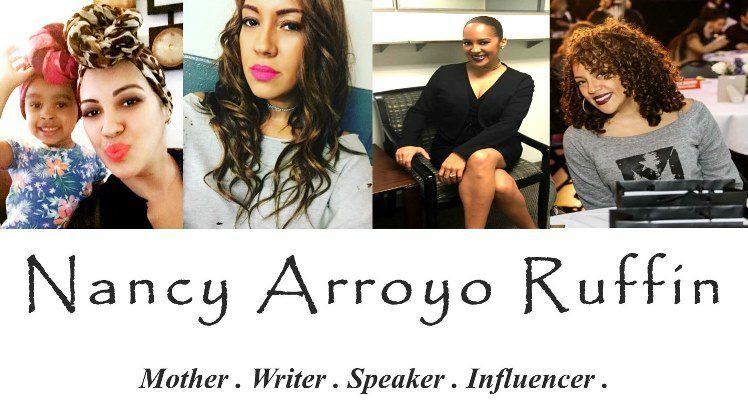 Author & Motivational Speaker Nancy Arroyo Ruffin talks to us about the importance of dreaming BIG.